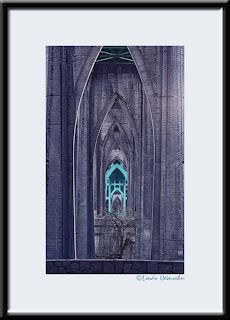 Looking through the St. John's bridge piers on the east end. The city has made the east end of the bridge into lovely greenspace named Cathedral Park. Wow, I really like this one, how you lead our eyes to the blue in the back.